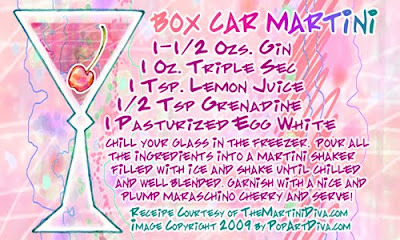 The Box Car Martini - Classic Cocktails are Back! I got a hold of some pasteurized egg whites this week at the grocery store so it's time to enjoy a few of my favorite classic cocktails that require egg whites - one of them being a Box Car cocktail. I enjoy some of the old classic cocktails from the era of prohibition every once in a while and The Box Car Martini is favorite. Every time I drink one I think of flappers, bathtub gin and how cocktails really got their big push in this era as a way to hide the terrible moonshine that passed for alcohol in those days! Many of these classic cocktails that used egg in them went out of fashion because of the fear of Salmonella from raw eggs. 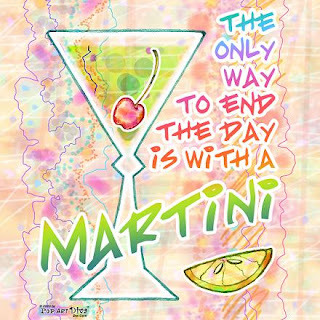 Now you can buy pasteurized egg whites and even egg white powder to get that lovely frothy effect, so let's bring back some of these great classics - but let's serve them up in a martini glass, lol.